Smart-UPS X is an intelligent, long run time UPS for IT and telecom professionals who need their critical servers and communication systems to ride through power outages that could last hours. More efficient than on-line UPS's and easier to deploy than generators, the Smart-UPS X has the ability to accept external batteries at any time to increase availability and because it is a Smart-UPS, you know it is reliable. 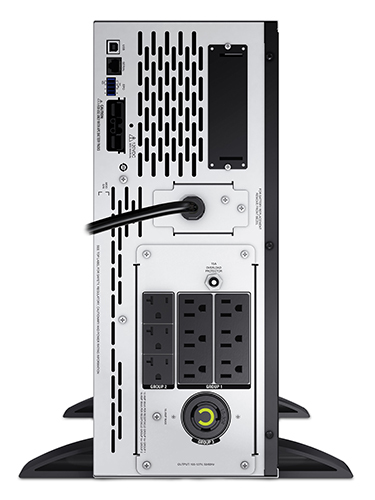 APC by Schneider Electric's Smart-UPS is the most popular uninterruptible power supply (UPS) in the world for servers and other network devices such as switches, routers workstations and point-of-sale devices. 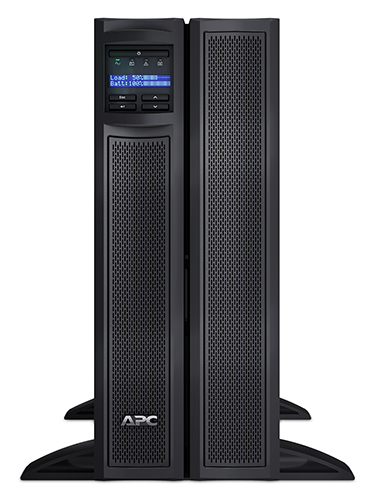 Available in either traditional tower, rack optimized, or extended run convertible form factor (750va-3000va). 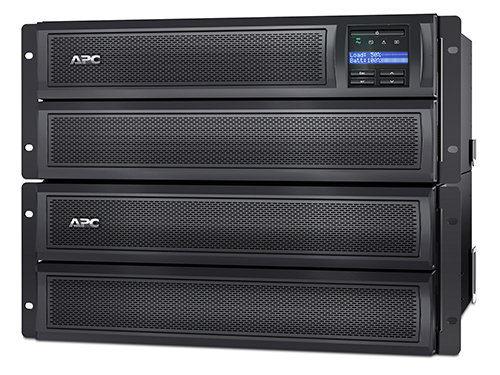 The world's most popular network and server UPS. Trusted by millions to protect critical data and equipment from power problems its proven line interactive design supplies clean and reliable network-grade power over a wide range of utility conditions. Conditions include surges, spikes, brownouts, blackouts and other transient conditions that can cause costly downtime, data loss or hardware damage. Smart-UPS are known for their intelligence, monitoring and control capability. Users can actively manage power to their critical devices using an intuitive and interactive display, through the supplied PowerChute Business edition software or remotely with optional network management cards that plug directly into the unit's Smart-slot interface. Patent pending "green" mode provides optimum reliability and efficiency of > 97% which saves utility and cooling costs without compromising availability. Advanced battery management provides Temperature compensated charging which extends life and advanced algorithms proactively recommend battery replacement date. In addition, Switched Outlet Groups can allow users to Reboot Hung devices, shed non-critical loads to conserve runtime, and set sequenced startup/turn off. 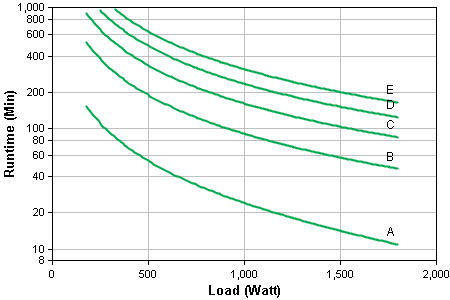 High frequency design - Reduces or eliminates bulky transformers resulting in lighter units for ease of handling. Auto recognition of external batteries - UPS recognizes when external battery packs are attached and automatically adjusts runtime. Energy meter - Provides actual kilowatt hours of usage for energy conscious users. Outlet group control - Turn on/off, reboot or shut down select outlet groups to save dispatching technicians to remote locations (for UPSs with switched outlet groups). Load shedding - Turn off select outlet groups in a pre-determined sequence to shed less critical equipment and conserve runtime (UPSs with switched outlet groups). 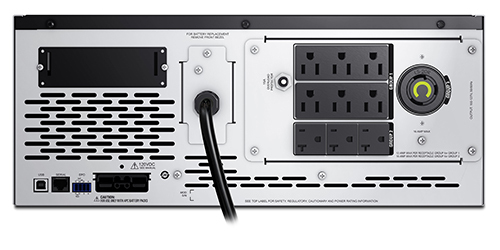 Multiple switched outlet groups - Multiple outlet groups that may be controlled separately from the UPS for discrete reboot of hung devices, sequenced on/off and non-critical load shedding. High online efficiency - Reduces utlility costs, generates less heat. Sequenced network shutdown and reboot - Customize network shutdown and reboot sequence of connected servers and UPSs. Boost and Trim Automatic Voltage Regulation (AVR) Provides protection of connected equipment from power surges on the data lines. Resettable circuit breakers Enables quick recovery from UPS overload events. 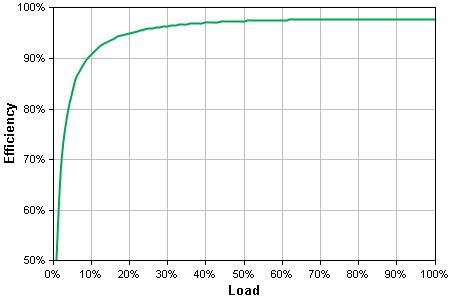 Curve fit to measured runtime data. All measurements taken with new, fully charged batteries, at typical environmental conditions, with no electrical input and balanced resistive load (PF = 1.0) output. *Except where noted, all prices are Estimated Resale Price (ERP) - Without Tax/VAT. Pricing in other locations and sites may vary.